There are many reasons to look at dance floor rentals in Washington D.C. A dance floor rental can be one of the centerpieces to a wedding reception, birthday party, or corporate event. Dance floors, along with a variety of rental equipment , can help turn a potentially stuffy get-together into a fun and outgoing party for you and your guests. 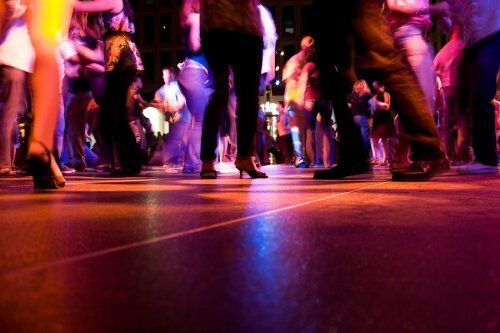 Many people like renting dance floors because they offer a flat and central location for guests to dance at a party. However, dance floors can also be a place for the guest of honor to stand as he or she opens presents. People can gather and stand on the floor to give toasts and congratulations to a bridal couple or someone celebrating a promotion or graduation. Dance floors can also double as a more comfortable place for guests to sit and eat on uneven ground. Table and chair rentals can be set up over the dance floor, allowing guests and staff easier access to serving platters and china. Dance floor rentals are very versatile, so consider renting a dance floor for your next event. Summer luaus are a lot of fun to plan and to attend. With the right party rentals and china in Annapolis, you can create a colorful and engaging luau that your guests will be talking about all summer long. Watch the video for some simple ways to throw a memorable luau this summer. Look for a tropical or floral pattern in your china and linens that will be the basis for designing your luau. You can pick decorations, colors, and centerpieces around this china design. Play island music in the background so your guests can have fun on your dance floor rental. Consider your decorations and party rentals, as well. Tiki torches, leis, and various decoration rentals are easy ways to round out your luau theme. Whether your birthday is around the corner or next year, it never hurts to start thinking about making it the best party yet. With the right rental equipment near Annapolis, you can make any sort of party happen, and your guests will thank you for a great birthday celebration. Here is a brief look at some easy ways to plan a memorable birthday party and how some party rentals can help you along the way. To have a truly epic birthday party, that you and all of your guests will enjoy, you should start planning as soon as you can. Determine the venue and the number of guests you wish to invite. Start making calls to your friends and family to see if they can help or want to be a part of planning your birthday celebration. Do not forget to call your party rental company, either. 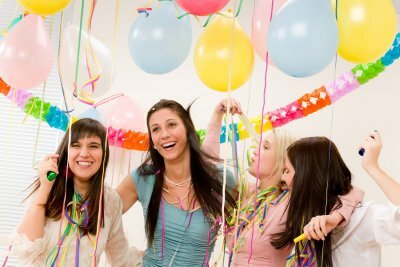 Depending on the time of year your birthday party will be, rental companies can book up quickly. Nail down your party rentals as soon as possible, so you can get everything you want for your birthday party. A party does not need a theme to be great, but themes can always help you and your guests have a little bit more fun. Guest can arrive in costume or with a specific theme in their clothes. Your decorations and party rentals can help cement the theme, as well. There are a variety of themes to choose from, and all of them can be carried out simply or intricately. Once you pick out your birthday party theme, you need to find some fun accessories to complement the theme. Many rental companies offer games, stage rentals, and a variety of linens, china, and serving platters. These items can come in several different colors and designs, so keep an open mind as you go through your rental company’s catalog of items. 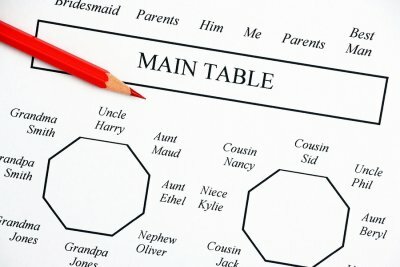 Part of planning your wedding reception means you have to merge the two families and friends through a seating chart. There are many resources to help with this task, including your party rental company. Your rental company can help with renting china, chairs, and table rentals near Baltimore , so be sure to ask for advice when you need it. This is your wedding, and you already have a multitude of other concerns running through your head. There is no point in stressing over a seating chart when many of your guests will not stay in their seats throughout the reception. If you have a lot of mixed groups or a large venue, it is helpful to have a simple seating chart, but do not go out of your way to make sure certain guests sit next to or stay away from other guests. They won’t be sitting in their seats for much longer than the dinner and toasts, so there is no need to take a long time planning the seating chart. When planning out your seating chart, you need to know the amount of table and chair rentals that your venue will hold. You also need the size and shape of the tables to help determine the seating chart. Table rentals, whether they are circular or rectangular, can typically hold six to twelve chairs. Depending on the number of guests you have and the size of the venue, you will have to determine how many guests can sit comfortably at one table. Speak with your rental company and your venue for advice on seating space. There is little need to assign specific seats for your guests. Instead, assign a group of guests to a table number and they can figure out where to sit at the table. The only time you may consider assigning seats is when your guests have dietary restrictions or each guest has ordered from a predetermined menu.